Well-paid Cuban import Leonys Martin may spend all of 2012 in the minor leagues. If that's the case, it could set up a pair of his fleet-footed teammates to be off to the races. Eric Thames (OF, TOR) and Travis Snider (OF, TOR) find themselves battling for the starting left field job this spring. Thames held the every day job during the second half of last season, during which time he hit .255 with 11 home runs. He possesses plus power, as shown by last year's 133 PX, but mediocre walk and contact rates held him to just a .306 on-base-percentage. Mike Adams spent two years in SD waiting behind a rock-solid closer for chance to save games. He now finds himself in the same situation in Texas ... or does he? OF Corey Hart will likely miss his second consecutive Opening Day for the Brewers after undergoing undergoing knee surgery. And NYM 1B Ike Davis reportedly has Valley Fever. Spring training reports indicate that Stephen Drew (SS, ARI) is coming along slowly in his return from season-ending surgery after a July ankle fracture. Drew is unlikely to be ready for opening day, and could miss a sizable early chunk of the season. Competing for PT in his absence are veteran utilityman Willie Bloomquist (SS/OF, ARI) and venerable good-field, no-hit infielder John McDonald (SS/2B/3B, ARI). Franklin Gutierrez (OF, SEA) was diagnosed with a torn pectoral muscle on February 29 that will keep him out of baseball activities for at least four weeks. Who will take advantage with Gutierrez out of action? In a surprising move, Houston manager Brad Mills named Brett Myers the team’s new closer. Myers has been a workhorse over the last two seasons, as he has averaged 220 innings per season, with a sub-4.00 xERA in both years. Now, however, it appears he will return to the bullpen, where he last pitched in 2007, when he saved 21 games for the Phillies. Will Chris Perez's (RHP, CLE) oblique injury result in a closer-by-committee in CLE with Vinnie Pestano (RHP, CLE)? 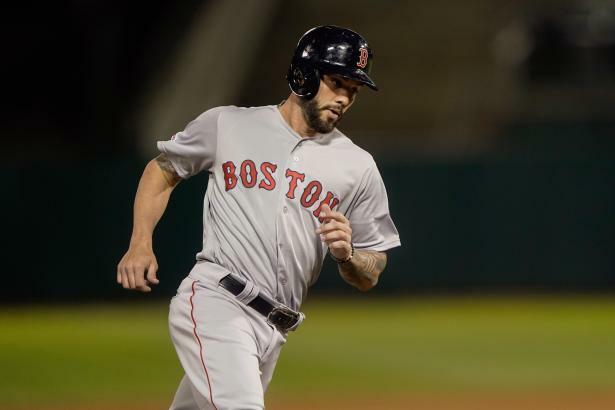 We tackle the Indians' possible ninth-inning shake-up, as well as the final spot in BOS rotation, Grady Sizemore's setback, and more. MIL's Ryan Braun won his appeal of a 50-game suspension for a positive PED test. The ruling means Braun will not miss time, with ripple effects for other potential PT battles.